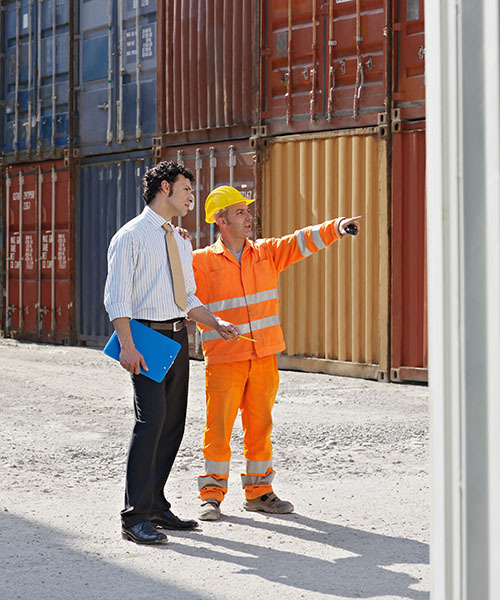 Why Should I Purchase Cargo Insurance? Additionally, you may be required to post a bond and/or cash deposit in order to obtain a release of your cargo following a general average even though there was no loss or damage to your goods. By purchasing insurance, your insurance company assumes the responsibility and can usually expedite the release of your cargo. Lastly, your sales contract may obligate you to provide ocean cargo insurance to protect the buyer’s interest or their bank’s interest. This is especially true when selling goods CIP or CIF. Failure to do so can not only subject you to financial loss if there is loss or damage to the goods, but non-compliance with the terms of your contract with the buyer can lead to loss of sales and legal problems. When merchandise is sold in international trade, the buyer and seller draw up a sales contract detailing the responsibilities of each while the merchandise is in transit. Transportation exposes the products to the risk of partial damage or total loss that can result in financial loss to either party. Three ways the businessperson can minimize or even eliminate these risks of financial loss is by exercising control over: methods of payment; terms of sale; and insurance. The method of payment determines the extent of both the seller’s and buyer’s financial interest in the merchandise transported. Terms of sale are set forth in the sales contract and specify among other things when responsibility for loss or damage transfers from the seller to the buyer. Insurance, specifically ocean cargo insurance, provides coverage through a well-defined policy for financial loss due to the physical loss of or damage to merchandise. Either a buyer or seller, or both, may purchase insurance to protect his interest. An individual has an insurable interest in goods moving in international trade when he stands to benefit from their safe arrival or to be prejudiced by their loss. Unlike other types of insurance, this interest need not be present at the time the insurance is purchased. In essence, when an Open Policy is purchased the assured is affecting insurance on goods they will have an insurable interest in at some time in the future. Although the most common form of insurable interest is ownership, the point at which title to goods pass from one party to another during international transit can be complex and it may not always be clear as to who holds title to the goods at the time of loss. Additionally, both the seller and the buyer may have a financial interest in the same shipment and each will want to protect that interest. Insurance is one means of protection, but it is not always clear as to who should purchase insurance and when. Insurable interest in goods in international trade usually follows the seller’s or buyer’s responsibility for loss or damage to the goods as defined by the terms of sale applicable to each shipment regardless of who holds title to the goods at the time of loss. Ocean cargo insurance is usually purchased by the party that is responsible for loss or damage during the main carriage phase of transit. What Is General Average And Why Would I Incur Costs If My Goods Are Not Damaged? General Average is an internationally accepted principle of equity dating back to ancient times. Essentially, if one or more interests involved in a maritime adventure voluntarily sacrifice all or part of their goods to save all interests from an impending peril or loss, the interests saved will reimburse the interest suffering the loss so that each share the loss equally. A classic example used to illustrate this principle is that of a vessel which runs aground in a storm and is threatened with loss of the entire vessel and its cargo unless the vessel can be refloated. Efforts to refloat the vessel–such as the jettison of cargo to lighten the vessel; or expenses paid to a salvor to pull the vessel off the grounding point–would be shared by the vessel and all cargo interests. a) the carrier to reimburse me for loss or damage to my goods and not incur the additional costs of insurance? One, the carrier would not be responsible for your portion of general average. Secondly, the carrier is only responsible for loss or damage when it is due to their own negligence while the goods are in their care, custody or control, plus carriers are exempt from certain causes of loss or damage (up to 17 under certain international conventions). And lastly, the monetary liability of carriers is often very limited. b) the buyer’s or seller’s insurance? Relying on the buyer’s or seller’s insurance may be a viable option, but you must be satisfied that the insurance has in fact been affected and that the insuring terms, valuation, and limits provided by each insurer on each shipment are adequate to meet your needs. Arranging your own insurance once under an Open Policy to fit your specific requirements for all your shipments would be much simpler and cost-effective. Self-insurance may also be a viable option provided adequate funding is reserved to cover catastrophic losses and that you possess the resources and expertise to pursue recoveries from parties responsible for loss or damage, mitigate loss or damage worldwide when it does occur, expedite the release of cargo following a general average or other mishap during transit, investigate causes of loss and recommend changes in packaging, shipping and/or handling practices-all services provided by insurance companies when you purchase an ocean cargo insurance policy.